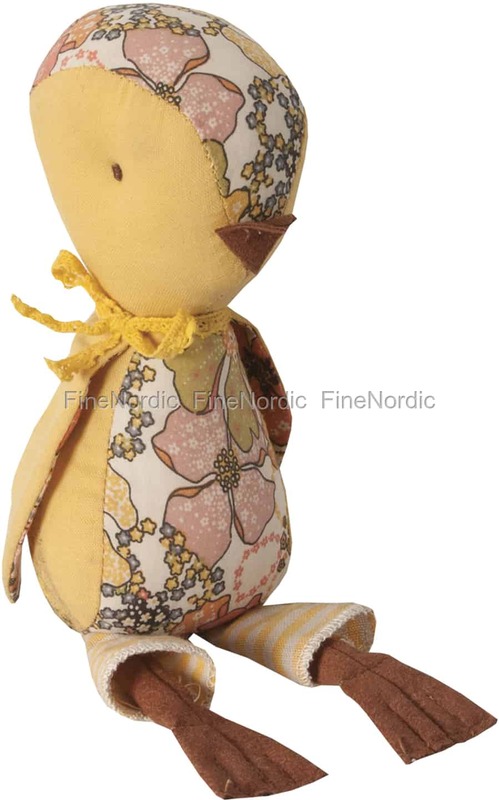 This large Maileg Chick is a cute Easter decoration for the living room couch or the kid’s room. This cutie is 16 cm tall and will gladly sit, wherever you choose to place it. It is wearing yellow striped pants and its upper body is mostly yellow, with a pretty flower pattern under his wings and also across the middle of his head and torso. This cuddly chick can also be a nice playmate for a little loved one.